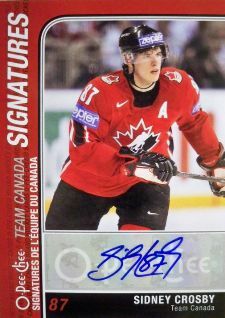 Team Canada hockey card collectors have a bunch of new autograph cards to track down thanks to two new releases. 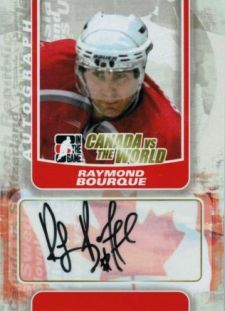 Both 2011-12 O-Pee-Chee Hockey and 2011 In the Game Canada vs. the World Hockey feature some of the country's all-time greats as well as some more recent standouts. 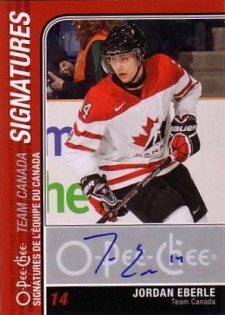 The O-Pee-Chee Team Canada Signatures are tough finds, falling 1:432 packs of the entry-level product. 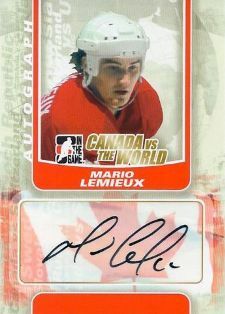 Canada vs. the World is a premium product, however the cards are a lot easier to find. 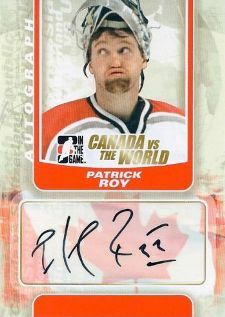 They're part of the basic autographs from the set, which also includes players hailing from other nations. The checklists for both sets are strong. 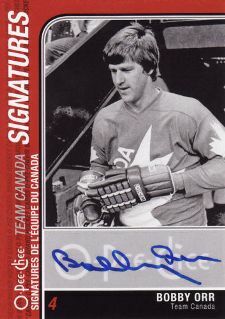 Upper Deck's roster has more heavyweight power with the trio of Bobby Orr, Wayne Gretzky and Sidney Crosby. However, much of the rest of the checklist is younger stars. 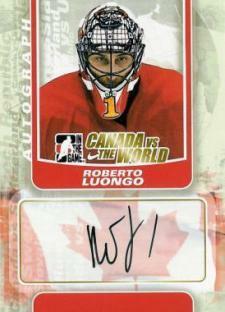 In the Game's checklist is led by Mario Lemieux, Patrick Roy, Steve Yzerman and Martin Brodeur. 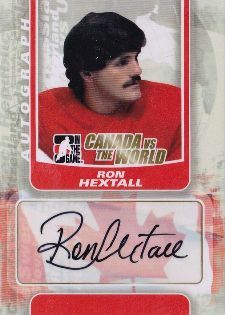 They also have a ton of fan favorites from the past 30 years, complete with dated hair styles and creepy facial hair.